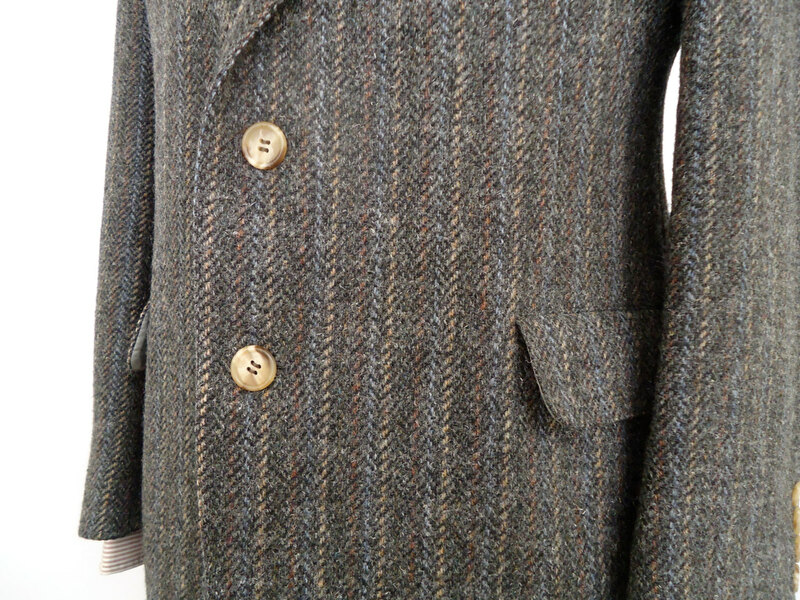 So much vintage tweed goes through the shop this time of year that there’s hardly a chance to enjoy it all, the wondrous variety of dyes and weaves, patterns and textures. 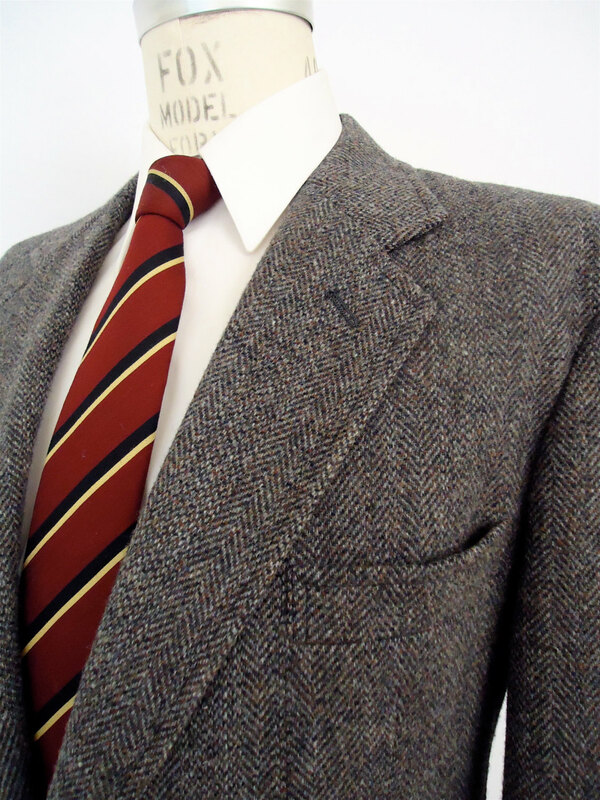 Prized for its warmth, water resistance, visual interest, and durability of use and style, a man’s tweed jacket—or his coat, suit, cap, tie–can become a lifetime member of his wardrobe, sheltering him in style season after season. 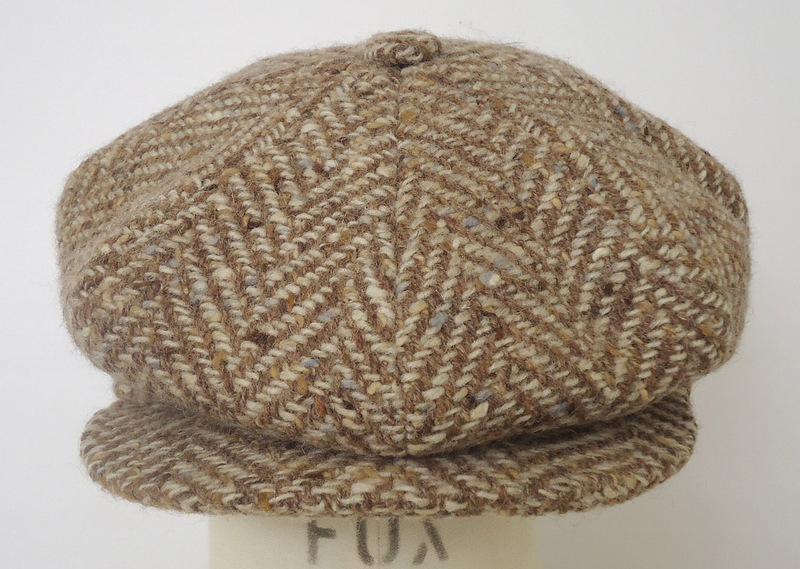 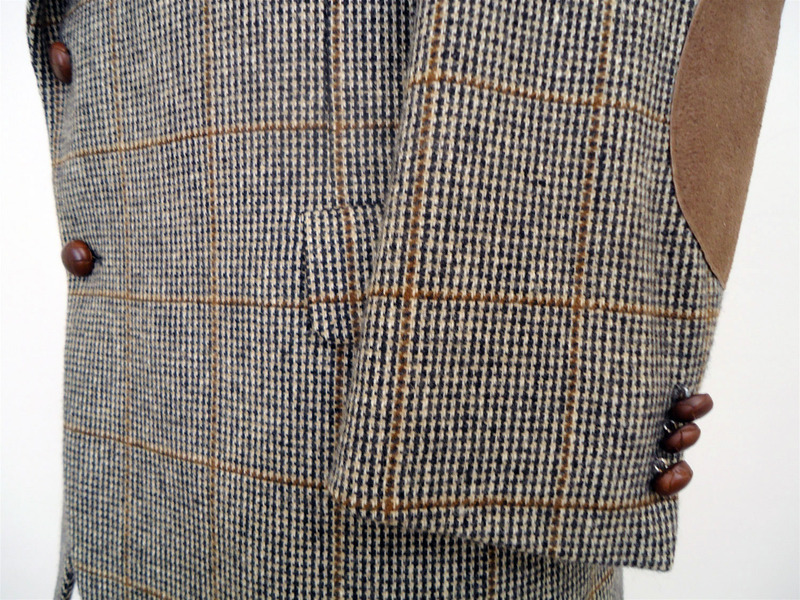 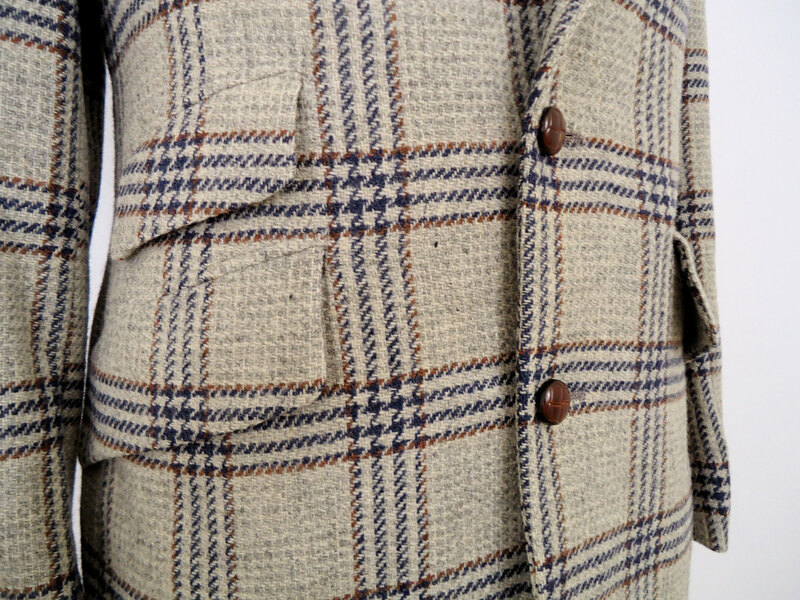 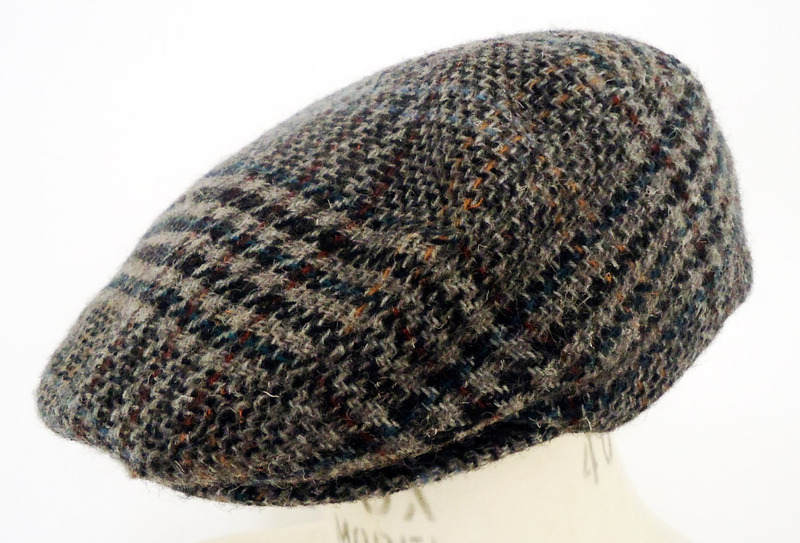 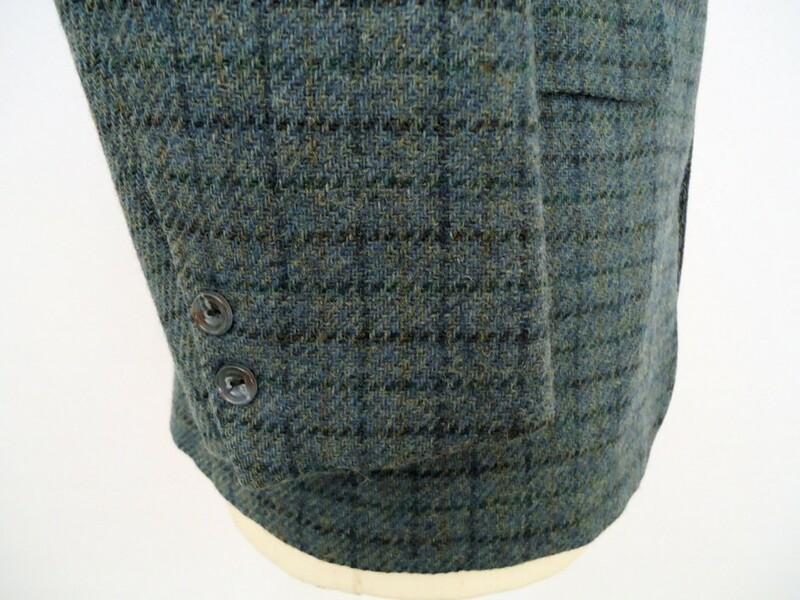 The same practical and aesthetic qualities are what make tweed a favorite for vintage shoppers. All of the above photo details come directly from the past and soon-to-be-past shop, pieces we’ve loved and lost. 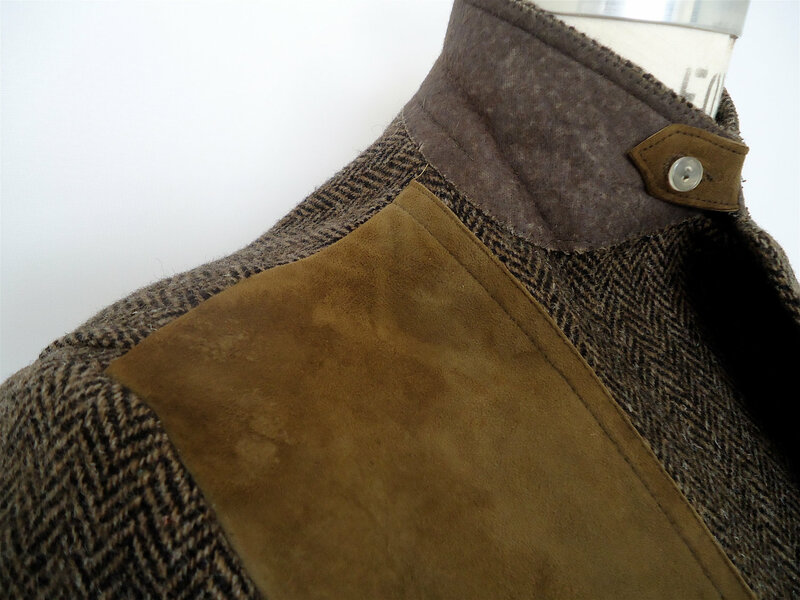 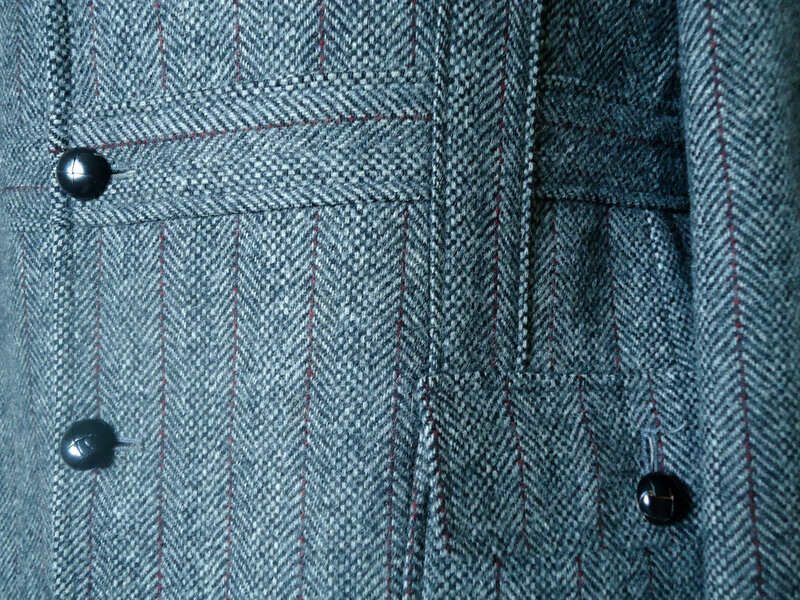 Some favorite features are included like hacking pockets, suede patches, built-in belts, felted collars that button, as well as herringbone, houndstooth, stripes, plaids, and that Harris Tweed label that’s always a welcome find. 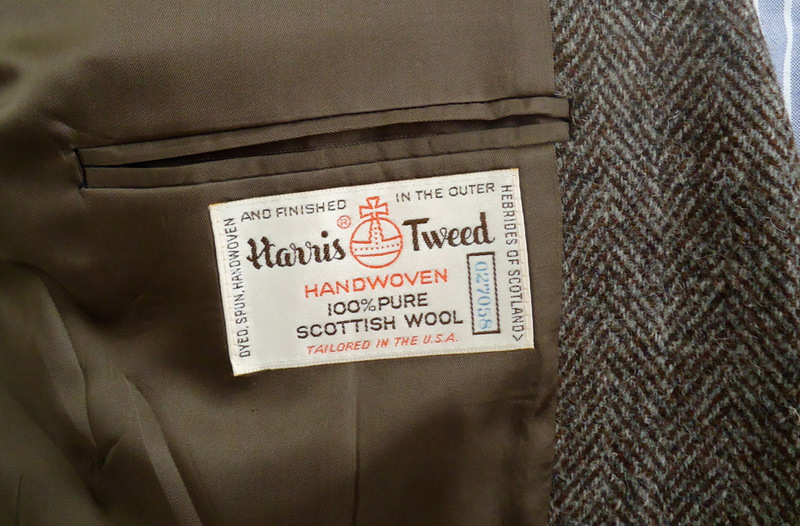 If you’d like a less sentimental look at tweed—more on the noble history of the fabric and its patterns—I won’t do you any better than the recent treatment by the gentleman at Gentleman’s Gazette.